Ivanka Trump looks more glamorous than ever, and more pregnant than ever! 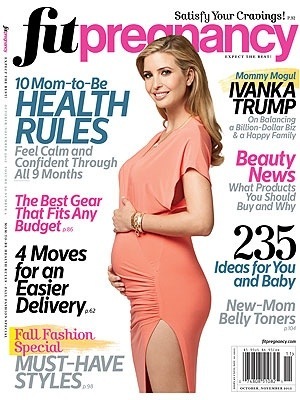 Trump was only six months pregnant during the shoot, and had posed in a fashionable, form-fitting dress proudly flaunting her baby bump. She also showed some spice by posing in a dress with a high slit. Don’t be ashamed, mama! Trump is due to give birth soon to her second child. We at Fit With Fallon want to congratulate the mom-to-be again! Appreciate your any other wonderful publish. Exactly where different may anybody wardrobe variety of details in these an excellent way with publishing? I’ve a presentation pursuing 1 week, and i am to the try to find such information.